The crew at Brosnihan Builders is a group of dedicated and experienced craftsmen, professionals who enjoy being challenged by their work. "We look for creative and intuitive qualities when we bring new talent to the team. Then we encourage their growth as artisans." Hands-on supervisor whose role is always to tackle the most difficult tasks. He is a highly skilled craftsman in all areas. Clients are appreciative of Jon's approachable demeanor and his ability to explain and share insight on their construction questions. Jon is a mentor and teacher to other crew members insuring quality work. Patrick follows in the footsteps of his father, a master carpenter. His exposure to building during his youth is what grew his passion for carpentry. His youth and physical strength combined with an impressive skill set make him a valuable asset to the company. Cheryl is our office manager and, among many other important responsibilities, she helps maintain Pete's sanity. Her efficiency and dependability make her the perfect fit for that job. Karl has worked his way through the ranks and has established himself as a master carpenter. His work ethic is second to none, he will complete any project he’s given, no matter how challenging. Taylor is youthful and exuberant. He is an excellent worker with ambition to learn. His on the job experiences have sharpened his skill set and continues to offer him more challenging tasks and opportunities. A working supervisor whose responsibilities includes communications with customers, sub contractors and crew. His knowledge and leadership contributes to the overall flow and organization of daily tasks through job completion. Pete’s youngest son has many years of on-the-job training. He jumps in when needed but currently is perusing his own maintenance company called “Zak Of All Trades". Zak happens to be a snow skate craftsman. Jeff moved to Garrett County from Baltimore bringing with him lots of experience in the building trades. 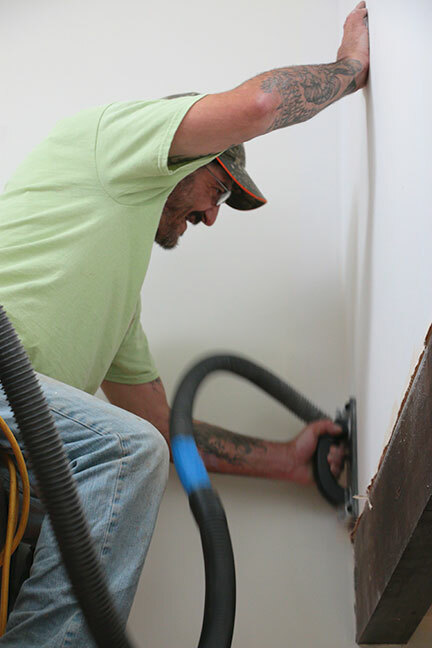 Resley learned his skills and craft growing up in a family construction business. He is very versatile and is able to utilize his skill set in any way that benefits the construction projects. He specializes in finish work.